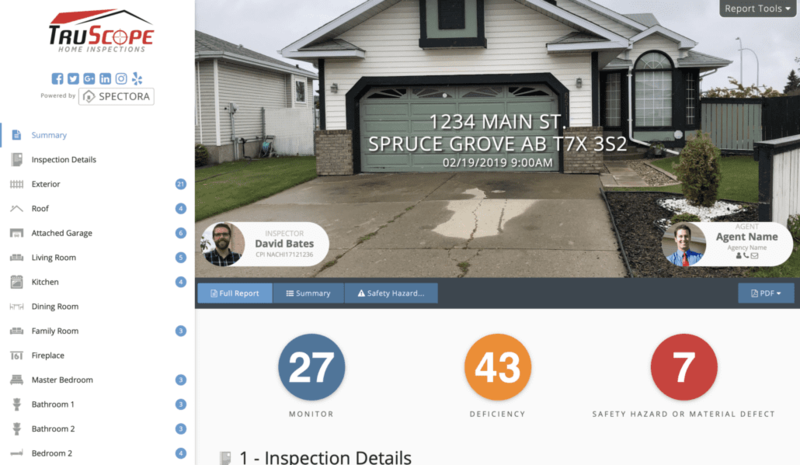 At TruScope Home Inspections, we use the most modern, powerful and cutting edge reporting software in the home inspection industry. The reporting software is so streamlined that your inspection report can often be completed by the end of your home inspection and be emailed to you or sent to your mobile within hours. We will walk through the home with you and discuss the findings listed in your inspection report. We are here to answer all your questions. However, with an inspection report so easy to navigate and understand, you may not need us to explain a thing!